There is a common saying- “everything that glitters is not gold.” Chances that the lovely gold chain you saw in nearby store might be merely glittering stones! However, while buying gold chain one has to keep eyes, ears and brain open given the nature of the trade. Though pitfalls do exist and today we want to discuss some important points so that you are better prepared when you buy gold chain online or offline. This is one of the important things to check post to clear before moving further. You must check whether the shining chain is just gold plated or made of hollow gold or solid gold. Gold plated chains will lose their shine and coating and you have to re-plate them to restore the gold colour. Next comes the hollow gold, they are soft and tends to break easily. Gold chains made of hollow gold can be used occasionally. Solid gold as the name indicated is the most durable and expensive of all. 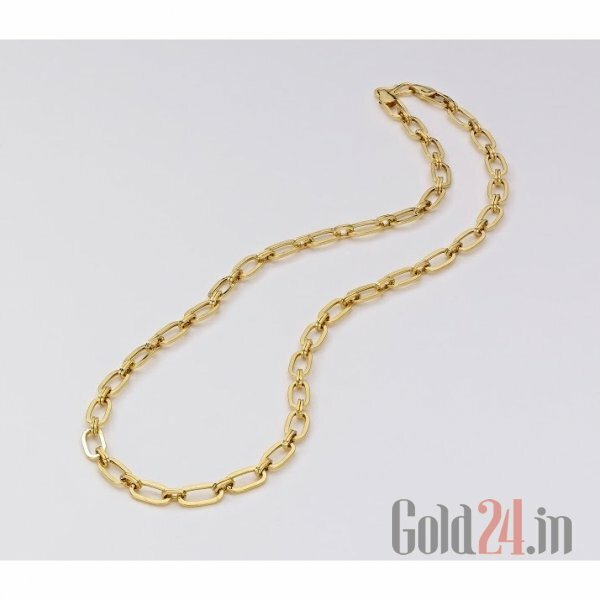 If you are looking for regular wear gold chain, go for solid gold. This is universal known fact that purity of gold is measured in carat. 24K gold means 100 percent purity. But gold in its natural state is very soft so it mixed with some other metal to make an alloy. 14K gold means 14 parts of gold and 10 parts of some other metal. More quantity of gold means more yellow colour of chain. Hallmark for gold jewellery is assigned by Bureau of Indian Standards (BIS). Every jewel that has been hallmarked is tested for purity at BIS authorised assaying centre and a laser engraving is done mentioning about its purity. So 916 hallmark simply means 91.6 grams of gold i.e. 22 carat. Now when you have decided how much karat of gold you require for gold chain let’s move further to style of chains in terms of links. Round snake chain will likely to disrupt between your clothes and hairs. Flat chains are prone to twisting while a kinked necklace could be very hard to repair. 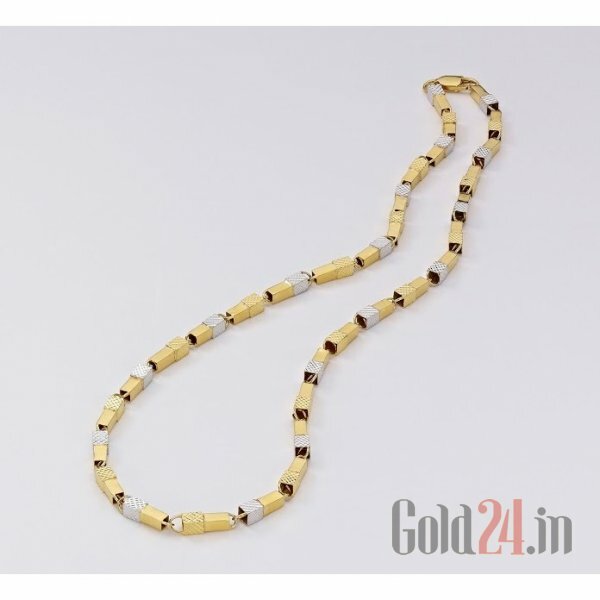 Box chains and wheat chains are considered as superlative style if you are looking for durability and strength. Best part of these styles is you can hang a pendant without worrying about its breakage. You can also opt for rope chain or anchor chain or curb chain styles. I found a great collection of gold chains online at Gold24. You can see some of them below. Personal taste and use are the main factors when deciding for length of chain. Men’s standard chain length is 16 inches which ends till collarbone. For women’s chain, length varies depending on the width and preferences. With ease of buying everything at the click of button, it is easier to fall into trap of faux pas. If you are planning to buy jewellery online always and always go for a reputed and trusted jeweller. 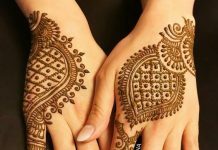 Check the details mentioned about purity, weight and length. Make sure the seller is providing you hallmarked jewellery. Go for seller who offer money back guarantee in case you don’t like the chain. 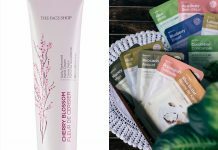 There are some online sellers who send their personal executives at your place with dummy samples so that you can choose, gratify and then buy. 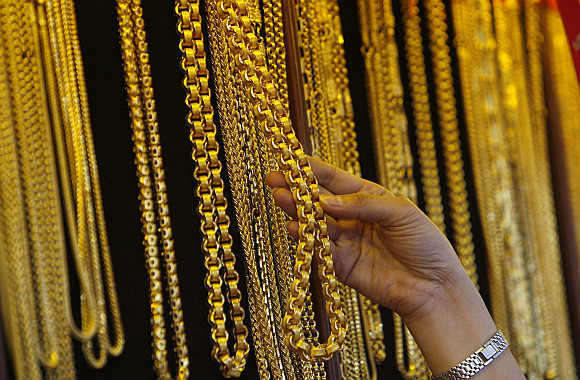 We hope keeping in mind the above information you will be more cautious while buying gold chain online or offline.